“The Falling Out” published in Pleiades! 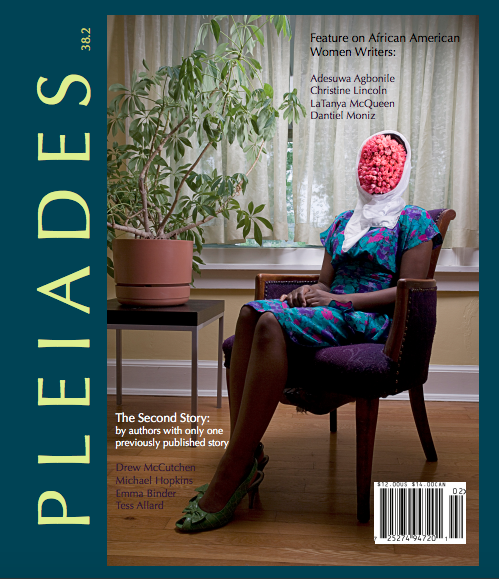 My short story “The Falling Out” has been published by Pleiades: Literature in Context in Issue 38.2. It is available for purchase here. “The Falling Out” might be best described as a quiet literary story masquerading as apocalyptic narrative set in my home region of the Skagit Valley in Washington State. An areas so painfully beautiful I can’t help but imagine the tragedy of it being destroyed. A huge thank you to Pleiades for creating a home for this story and to the University of Central Missouri for supporting writers and artists. A very special thanks to Dr. Phong Nguyen who is not only a wonderfully accomplished author and teacher, but served as the Chief Editor and Fiction Editor for Pleiades for 11 years. It was an honor to have my work published in his last issue for Pleiades. I am also very exited that this issue included stories from other authors debuting their second published stories. My story was accompanied by a very gracious introduction by Barbara Diehl of The Baltimore Review. I confess that I like my literary fiction with a dose of the extraordinary. Not that you won’t find plenty of traditional stories in our issues, but you’ll also find flying men, pirates, ghost babies, monsters, robot ballerinas, clockwork girls, and other odd characters including, yes—zombies. To be honest, did I ever think I’d publish a story about zombies? No. Did I heave a sigh at the computer screen when I read the title, “Zombie Horror,” in the submission que, Yes. Which goes to show that you can’t judge a story its title. "I just liked reading it, too. The story drew me in right away, integrating what readers needed to know about this new world of zombies into the story so that readers wouldn’t get bogged down in the world-building details. We don’t need everything explained; we know just enough. the writing style is clear and straighforward, never getting in the way of the story, so I quickly engaged and came to care about what these characters, both the living and the dead. And the story kept my attention until the wonderful paragraphs at the end where Daniel, the zombie, explains to his caseworker why the risen dead want to sleep so much. I couldn’t’ help wishing them both well.